Acetaminophen Can Cause Rare, Serious Skin Disorders, FDA Warns : Shots - Health News Medications can cause rare and dangerous allergic reactions. The FDA says that the popular painkiller acetaminophen can cause those reactions, too. The agency wants people to see a doctor quickly if they get a rash while using the drug. Taking acetaminophen causes rare but potentially deadly skin reactions in some people, the Food and Drug Administration warned Thursday. The goal is not to scare people off Tylenol and other acetaminophen-based pain relievers, which are among the most popular medications in the United States, federal officials say. Instead, they want people to be aware that these skin conditions can be a side effect of using acetaminophen, so that if they notice a rash or other skin reaction they can stop taking the drug and quickly get to a doctor. Other over-the-counter pain relievers, including ibuprofen and naproxen, already carry warnings about the risk of these disorders, which are thought to be an immune system reaction to medication. The FDA will now require warnings on products that contain acetaminophen as well. 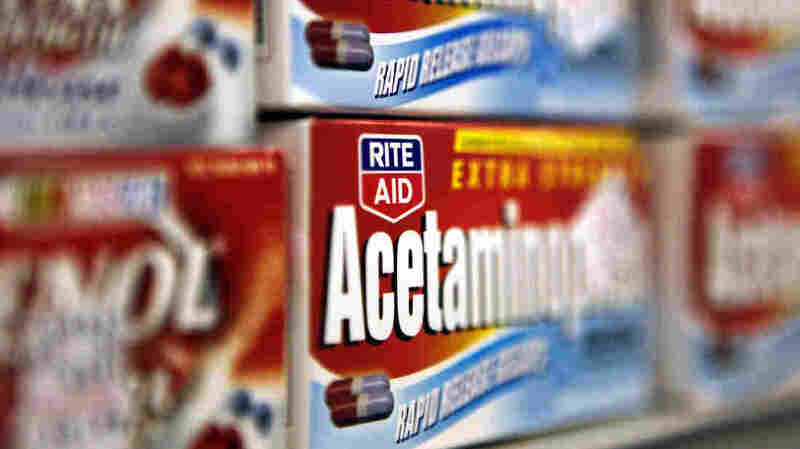 The FDA's adverse event reporting system has recorded 107 cases of serious skin disorders probably or possibly associated with acetaminophen from 1969 to 2012, or about two a year. That's pretty darned rare. The number includes 12 deaths. The three conditions are Stevens-Johnson syndrome, toxic epidermal necrolysis and acute generalized exanthematous pustulosis. The first two are the most serious. Stevens-Johnson syndrome and toxic epidermal necrolysis usually start with flu-like symptoms, followed by a red or purplish blistering rash that damages the skin, the FDA says. Sepsis, shock, and heart inflammation are potentially deadly complications. Acute generalized exanthematous pustulosis (gotta love that name) is less serious, and usually subsides within two weeks after a person stops taking the drug causing the problem. In 2011 the FDA lowered the maximum dose of acetaminophen in a tablet, capsule or gelcap to 325 mg to reduce the risk of liver toxicity. That year, the agency also asked manufacturers to stop selling concentrated infant acetaminophen, because some parents were giving it to older children in the mistaken belief that it was the same strength as regular acetaminophen — causing overdoses.